05/05/2017 UPDATE: From just one look you will say that Cayenne is not changing much but turn around and look again. 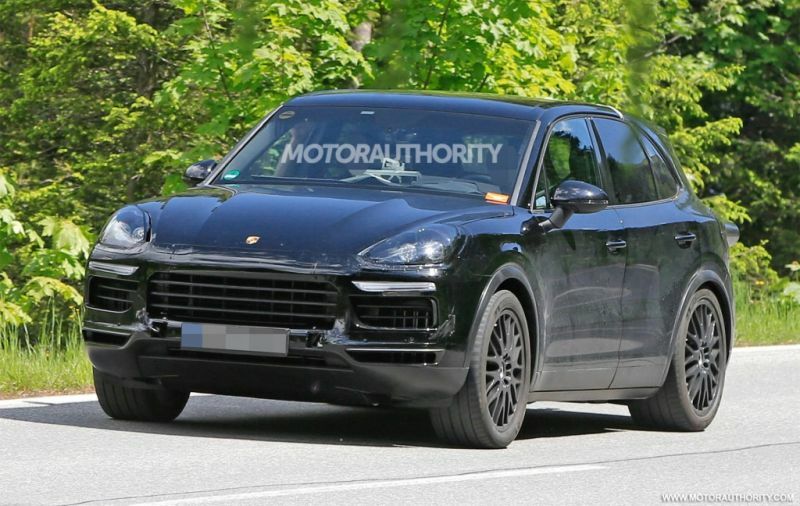 2018 Porsche Cayenne is on the way, and it’s bringing some major updates. 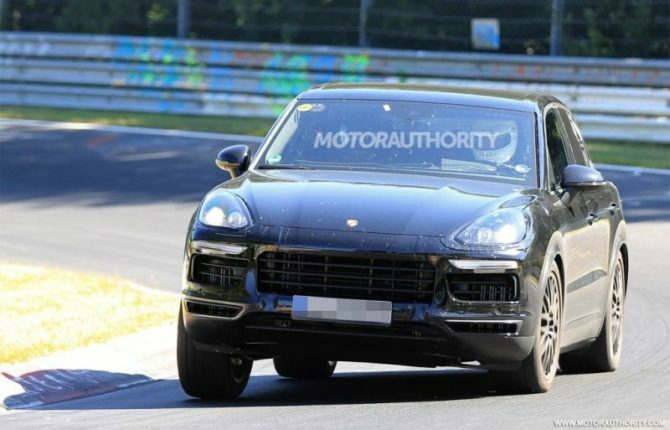 Some time ago German automaker showed its Platinum Editions of two Porsche Cayenne S vehicles, and now new spy photos have emerged of the upcoming 2018 MY. 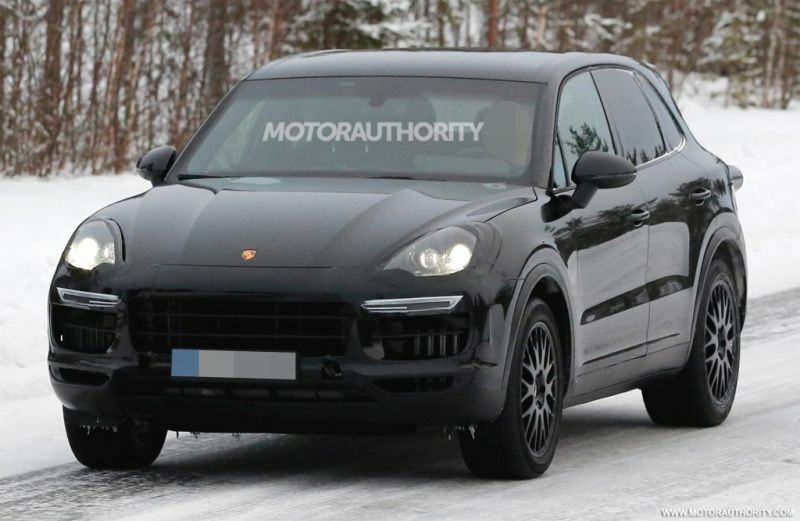 The prototype of Cayenne’s next generation is almost entirely stripped of camouflage. We say almost because some important parts such as headlights and taillights are still covered to give you an impression that clusters are the same as on the ongoing model. In addition, front bumper is also under disguise in order to hide small design changes. 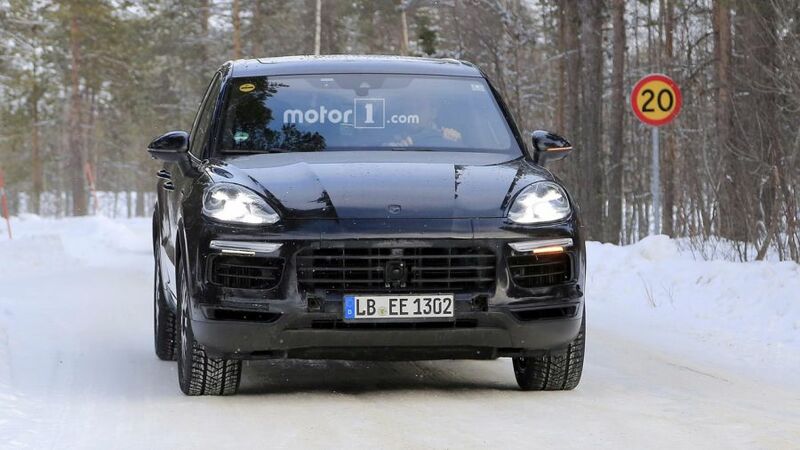 Exterior vise 2018 Cayenne looks like it’s undergoing a facelift rather than its crossing from one generation into another. But don’t be fooled by this because the changes are going to be vast and thorough. The first thing that crosses our mind is the weight drop. 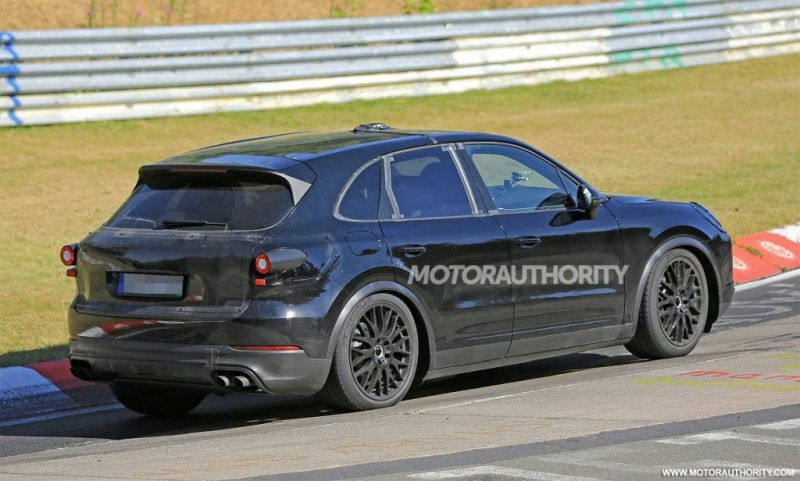 Luxurious performance SUV is going to have a lot more of that but at the same time, its going to lose a lot of pounds. 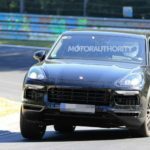 Stuttgart officials claim that new-gen of Cayenne is going to weight 220 lbs (one hundred kilograms) less. Like we mentioned the S in SUV is going to get a whole new meaning with this vehicle, not to mention the drop in fuel consumption. 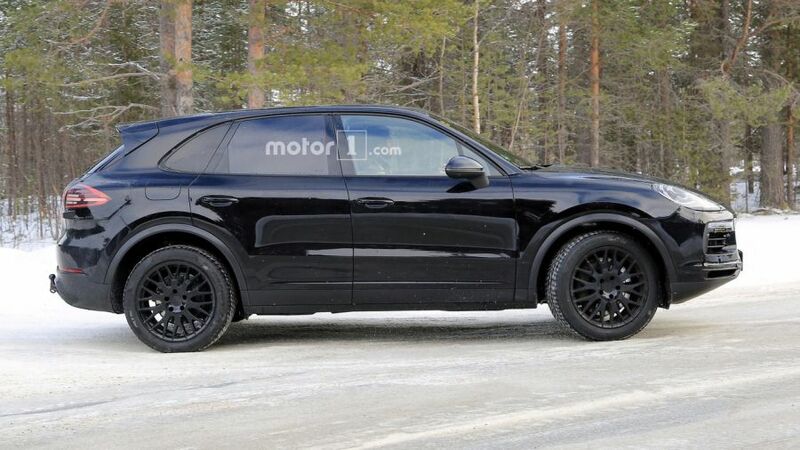 Continuing with design changes the SUV is going to lose some height at the rear where the roofline has been lowered. This won’t affect the passenger’s space because the wheelbase is going to be prolonged in order to make people at the back as comfortable as they can. 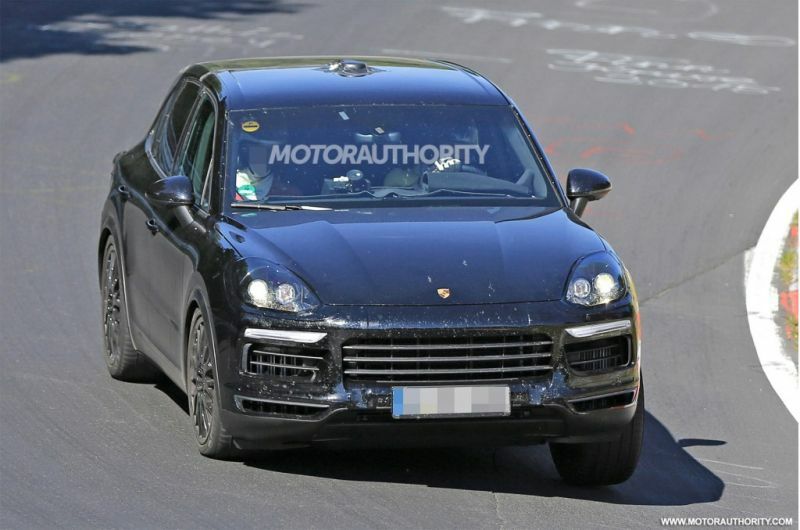 On the inside, as we saw from the previous set of photos the dash has been overturned completely, and in many aspects, it imitates the layout of latest Porsche Panamera. This includes new infotainment system, a larger touchscreen and set of all-new capacitive buttons. The engines set will probably the same as we have stated bellow and it will consist of regular six and eight-cylinder mills. 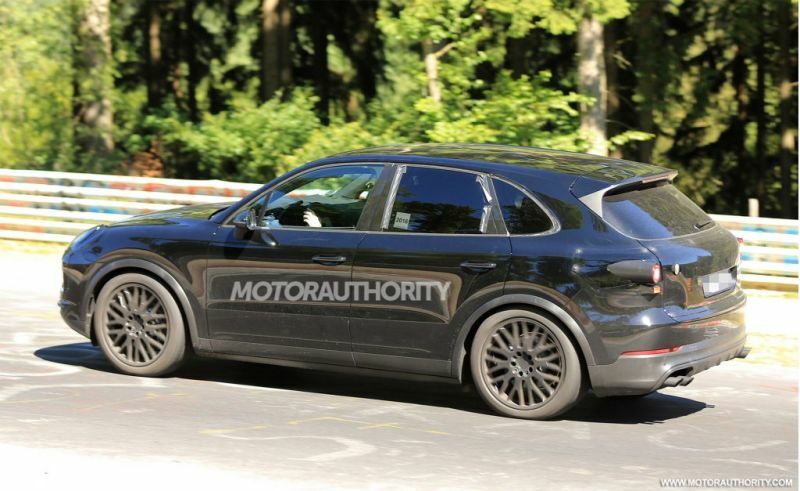 Those are the same units that power Audi A7 and VW Touareg. 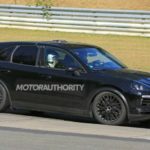 In addition to these, there is a possibility of an all-electric Cayenne which will be driven by a powertrain borrowed from Mission E. This would be one of the first high-performance SUV’s equipped with an only electric engine. 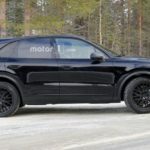 It is too early to talk about this one because the production will start when the decade comes close to its end, at least according to autocar.co.uk. 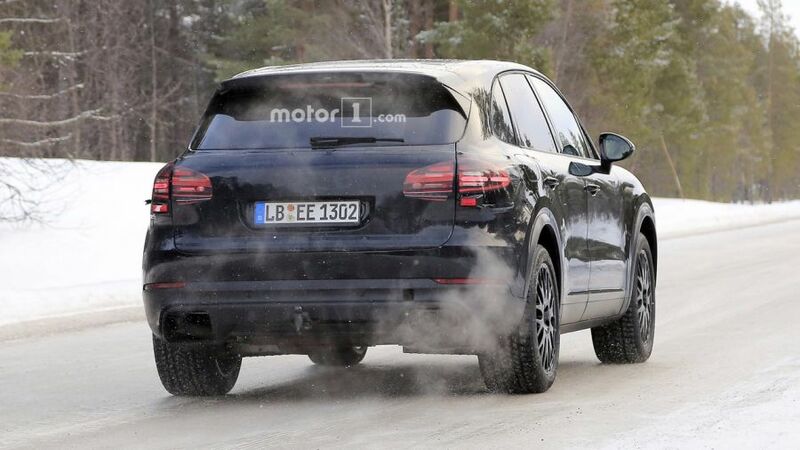 When it comes to the release date, all of us will have to wait until September and Frankfurt Motor Show. Good news is that there is, like always, an option of earlier on-line release which would come as a real present to us. 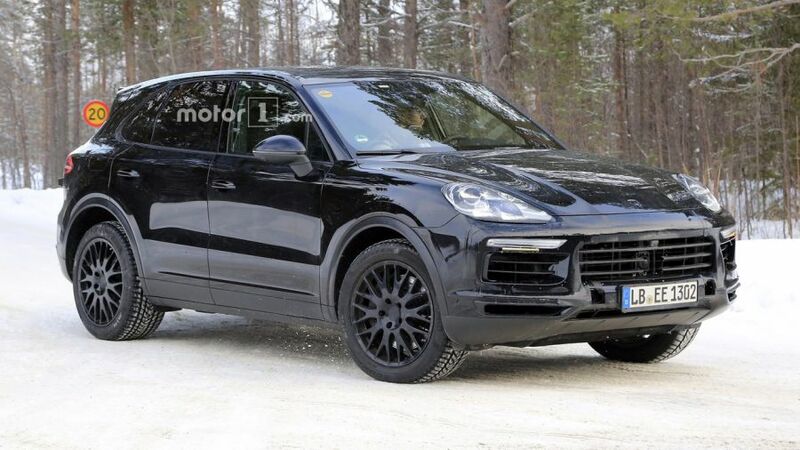 While we wait for 2018 Cayenne, we also look forward to the upcoming Lamborghini Urus which will share a lot of its underpinnings with Cayenne, and after these two we will have new Touareg also before the years ends. 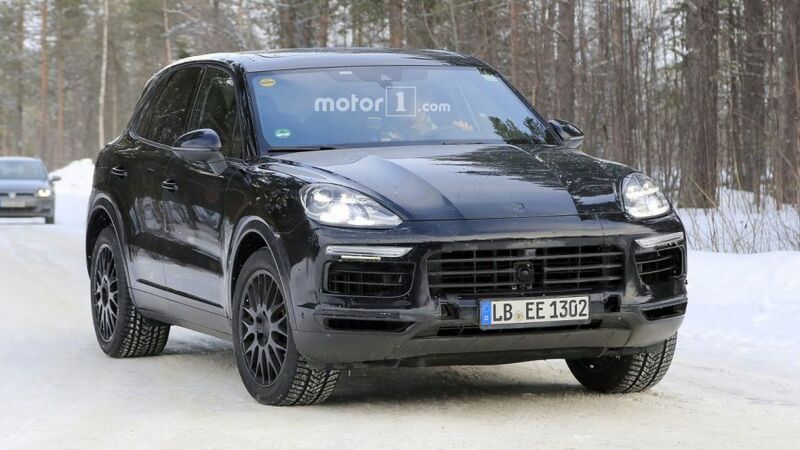 As for the release date of 2018 Porsche Cayenne, for dealerships and purchase, we estimate that it will be launched for sales in the first months of 2018. 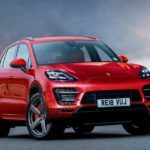 11/28/2016 Review: Despite the fact the current generation of the Cayenne went on sale back in 2010, its mechanical part didn’t change all that much since the original. 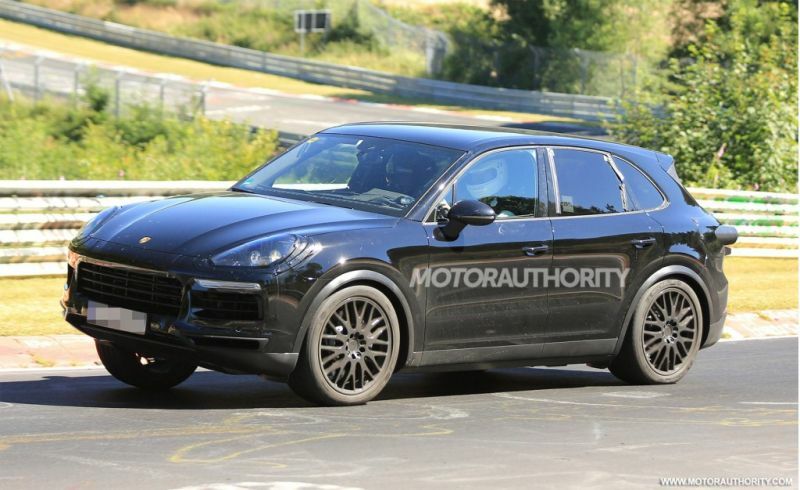 Luckily though, this is not going to be the case with the upcoming 2018 Porsche Cayenne. 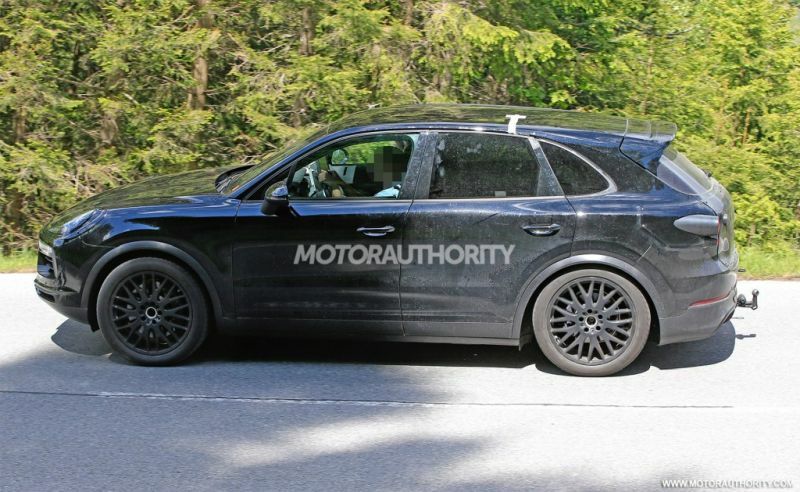 Like its predecessor, the car will share its platform with the Q7 but this time around the differences will be slightly bigger. 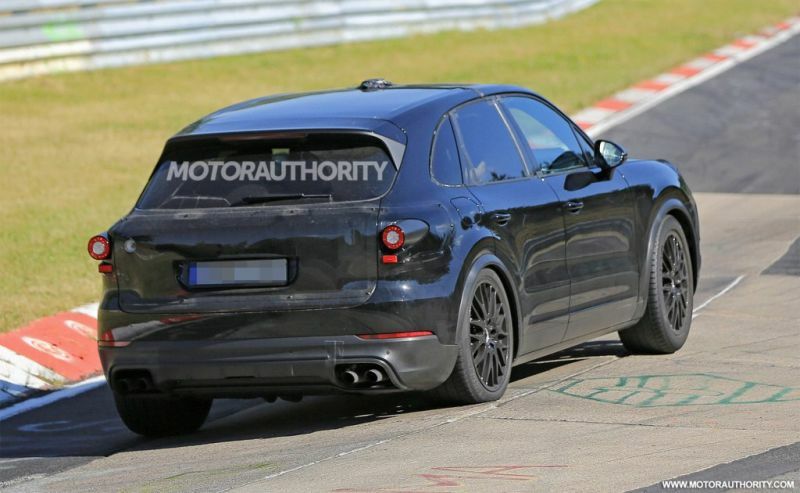 For starters, the car will get to use an adaptive suspension system across the range. 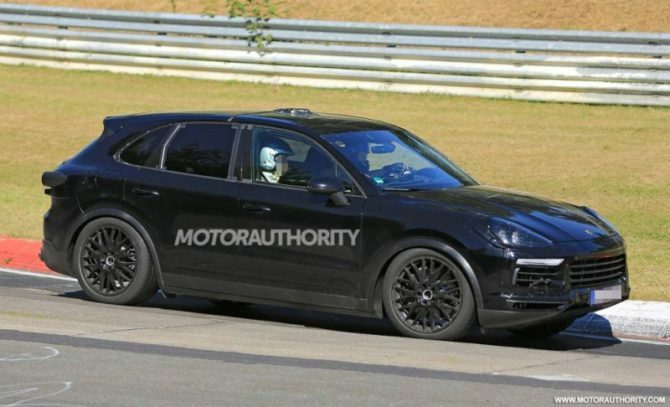 Also, it seems that Porsche is expecting weight savings of as much as 300 to 400 pounds across the model range. 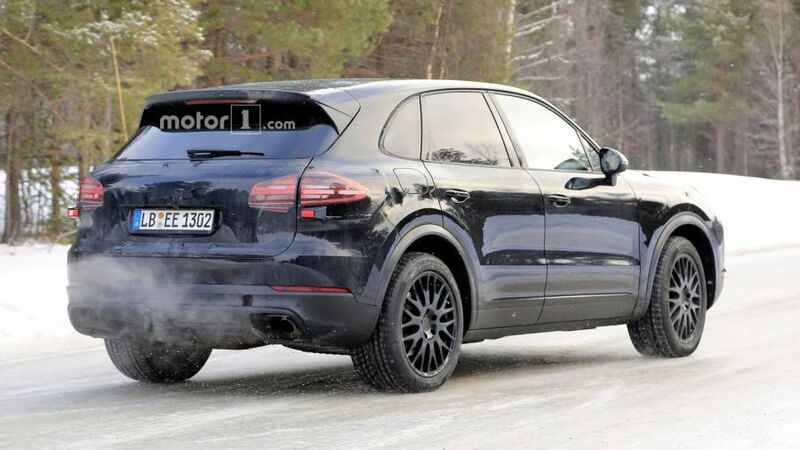 This should allow the new Cayenne to drop under 4,000 pounds for certain models which would be very impressive. 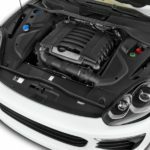 Thanks to the much lighter overall construction, the new model might receive a much smaller engine but more on that later. This has been rumored for a while now and it would make quite a bit of sense, especially for the European market. On top of that, thanks to the mostly aluminum and high strength steel construction, the car will be more rigid and safer in the eventuality of a crash. The dimensions are still an unknown factor at this point. 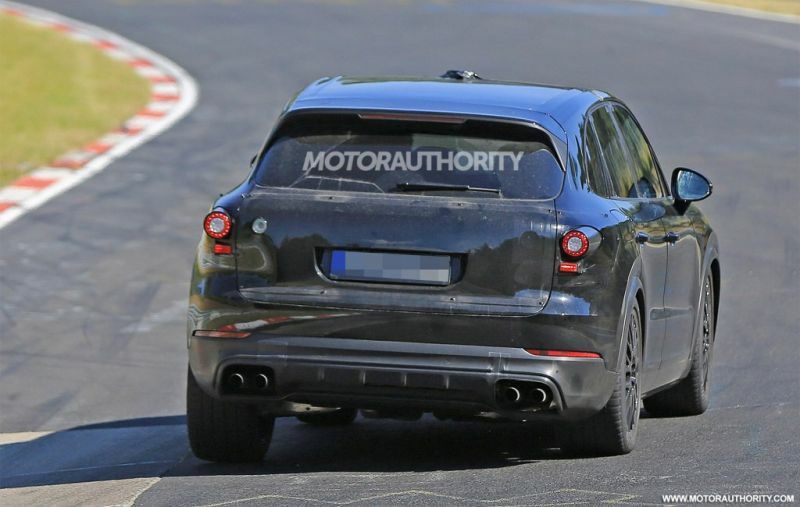 However, from most test mules it seems that the wheelbase will change slightly and that the car will be wider. 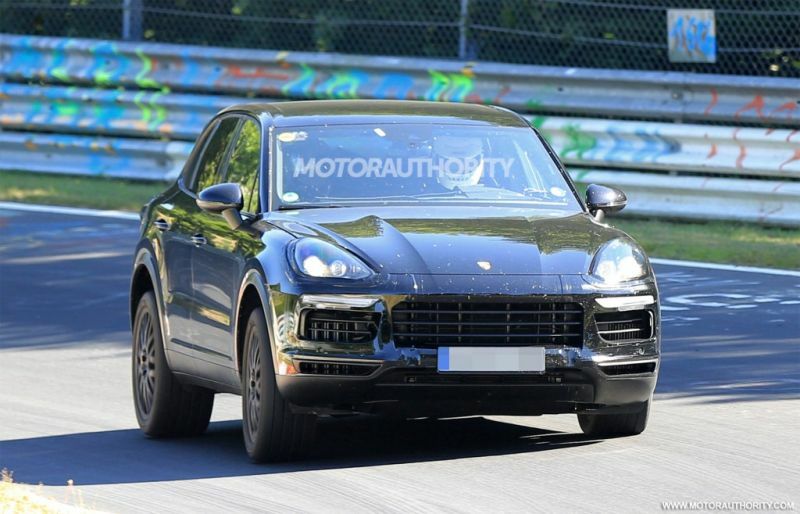 The release date is still at least a year away which should give Porsche enough time to polish the design of the car. Its price will likely vary greatly from $60,000 all the way up to more than $140,000 for a top end model. 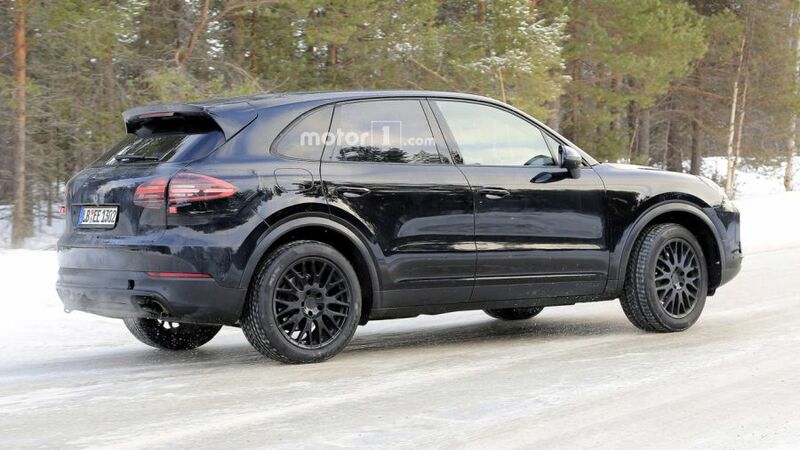 The current Cayenne looks like a more modern version of the original which is not a bad thing. 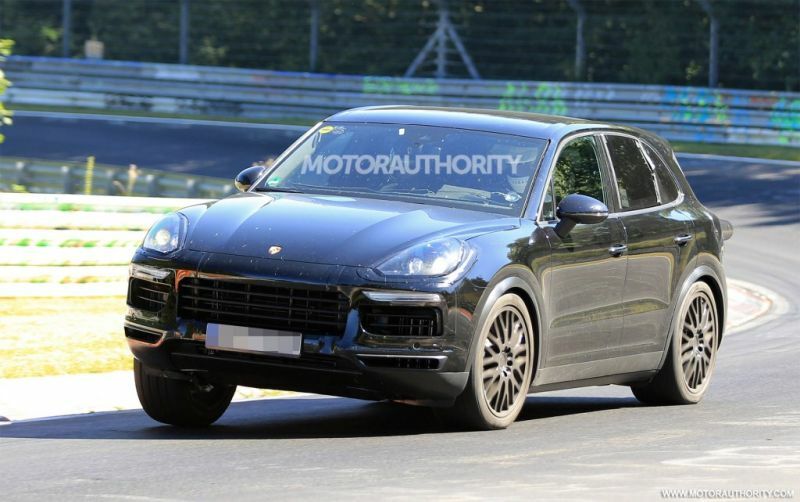 However, it seems that the 2018 Porsche Cayenne will change tremendously. 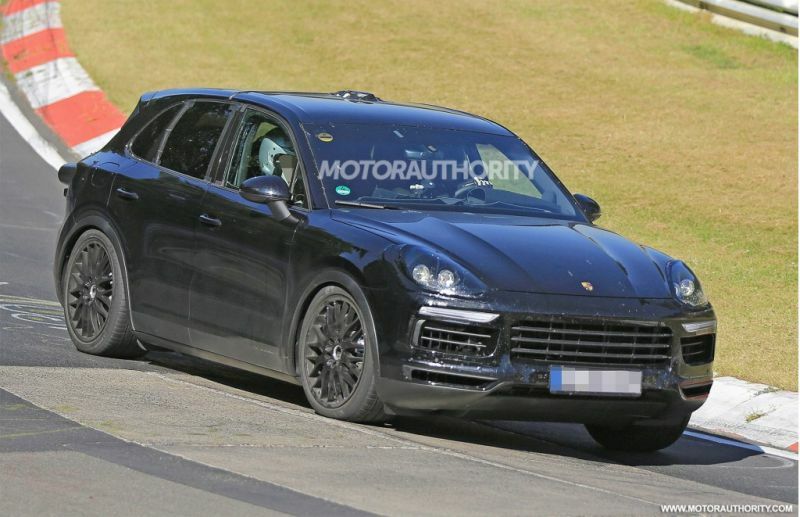 For starters, in the front the car is expected to take a lot more from the Panamera than before. The new four-cluster LED headlights, the highly aggressive profile or the rather large intake in the front are all expected to be seen on the new Cayenne. 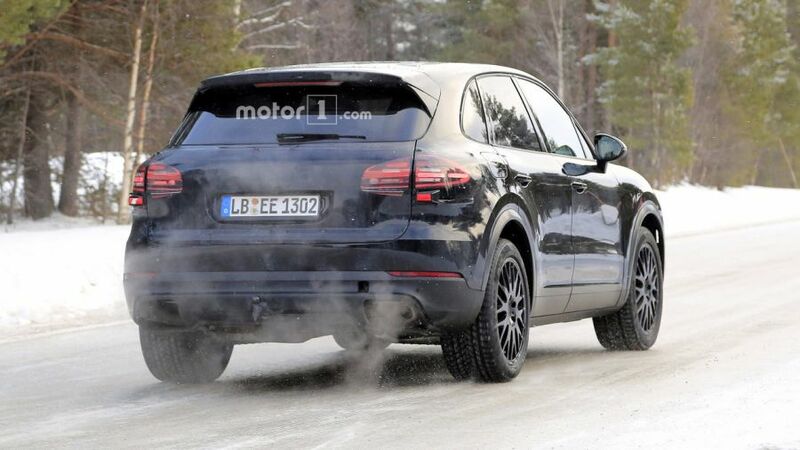 Also, the back of the SUV will more than likely borrow from the smaller Macan. This has been rumored for a while and so far it seems that it will more than likely be true. Even though the previous model of the car was a bit more different than their other models, this should not be the case with the upcoming car. 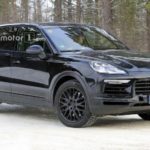 For starters, the 2018 Porsche Cayenne will likely get the new minimalist design Porsche is using in most of their cars. 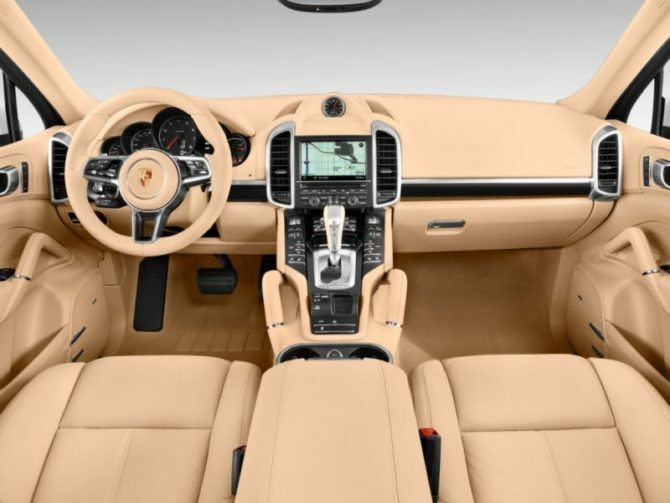 The dashboard will likely use the massive center screen found in the Panamera but with a different center console. The instrument cluster, steering wheel and some other parts will likely be used on the SUV as well. The seating position will still be quite low despite the Cayenne being a much larger vehicle than the Panamera. This has also been the case with the ongoing model which is quite a unique case in its class. 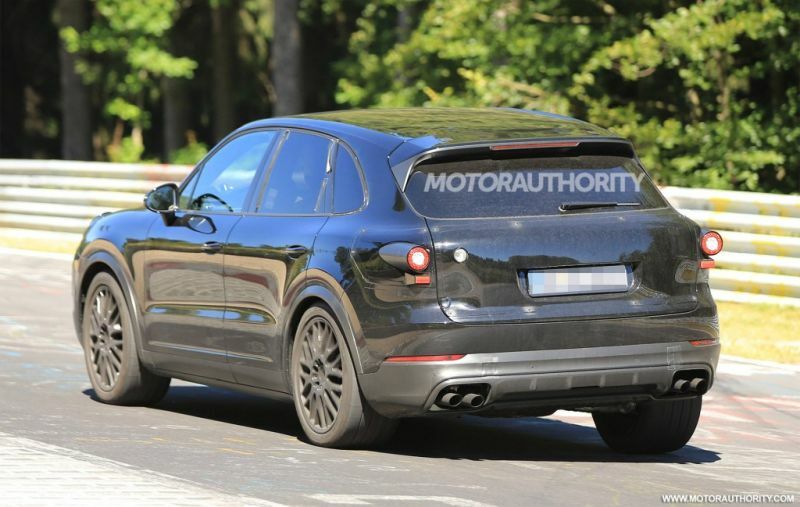 So far it seems that the 2018 Cayenne may receive a 2 or 2.5 liter turbocharged engine in the base trim level. 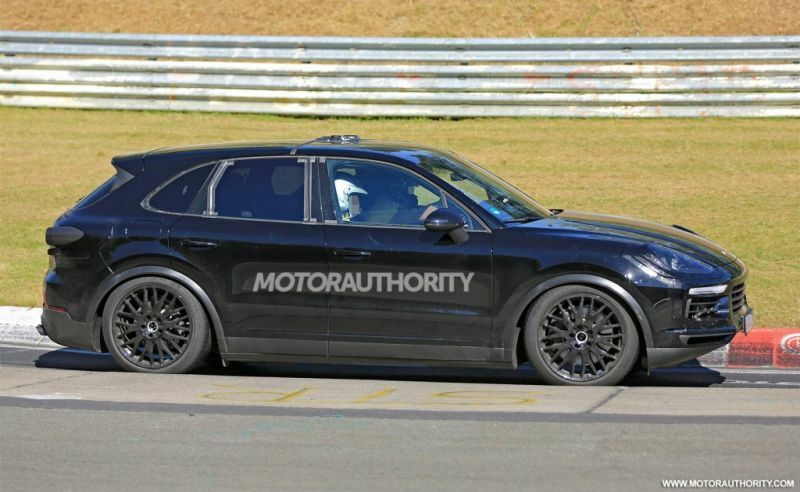 This might offer around 300 horsepower and it has been rumored for a while. 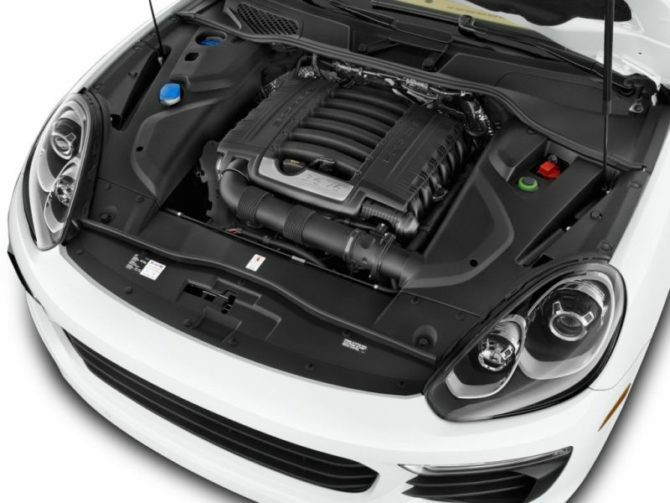 The S and GTS are both going to make use of a new 2.9 liter twin-turbocharged V6 which is known to make 440 horsepower and 405 lb-ft of torque in the sedan. 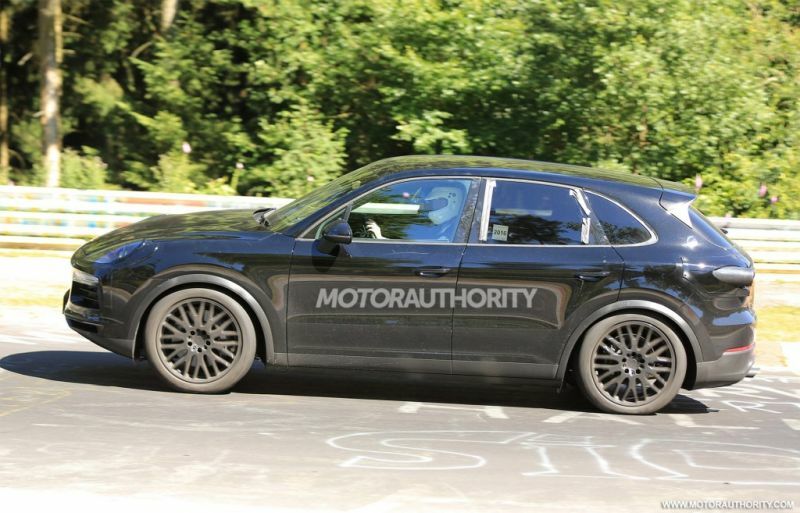 The top of the line model will likely get rid of the large 4.8 liter V8. 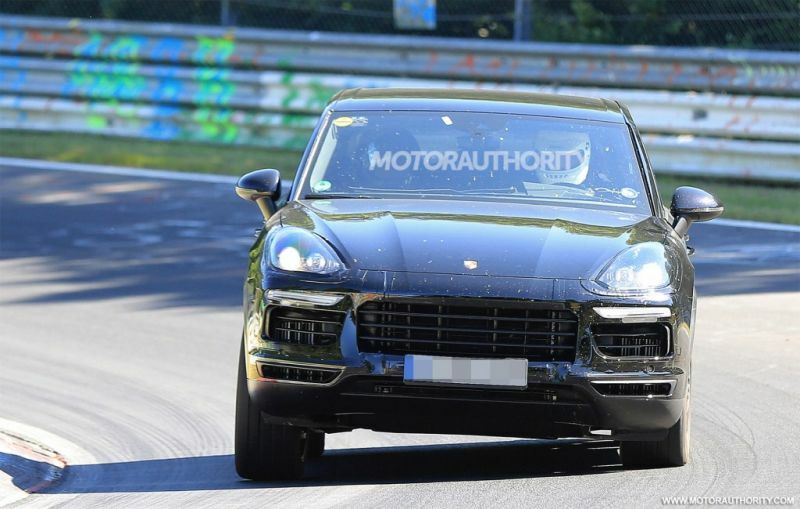 In its place we should see the new 4 liter twin-turbo V8 from the Panamera which is capable of more than 550 horsepower and 567 lb-ft of torque. All models will use a new 8 speed dual-clutch automatic and all of them will come with all wheel drive.